Lateral view of a female St Marks, or hawthorn, fly (Bibio marci) so named as they appear on or around St Marks day, the 25th April. 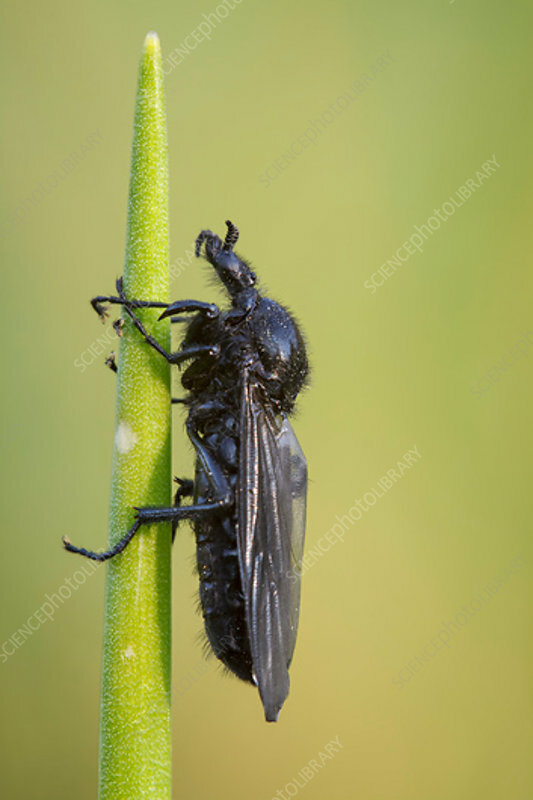 This fly is resting in the early morning sun on a sedge and is common across Europe. They are often found in damp meadows and woodlands. Photographed in Somerset, UK, in April.